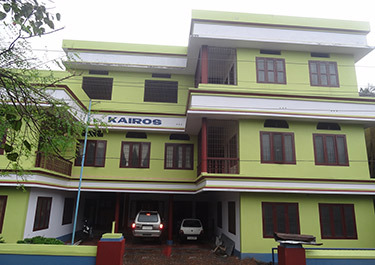 Kannur Association for Integrated Rural Organistion and Support (KAIROS), the official organ of the Diocese of Kannur for Socio-Economic Development of the poor and marginalized is an NGO registered under the Society Registration Act XXI of 1860. The organization is established in 1999 when the Diocese of Kannur was established bifurcating the Diocese of Calicut. In fact the Chirakkal Regional Wing of the Calicut Diocese Social Service Society (CDSSS) was reorganized to form as KAIROS. In that sense it was in the field of Social Development since 1989 or much beyond. However, KAIROS started independent involvement only from 1999 onwards. The area of operation of KAIROS covers the two northern civil districts of Kerala - Kannur and Kasargod. KAIROS works with dalits, fisher folk, marginal farmers, agricultural labourers, women and children and tribals in collaboration with many national and international development agencies and undertakes various programmes of state Government and Panchayathi Raj Institutions.